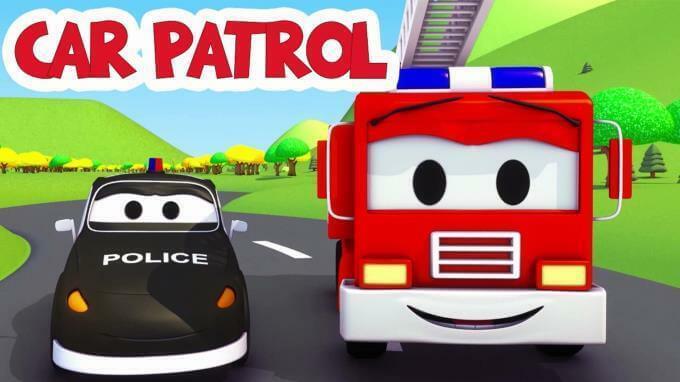 "Mat the Police Car and Frank the Fire Truck, members of Car Patrol, help all the cars and trucks in need! Whenever a bulldozer, tractor, garbage truck, ambulance, bus, any construction truck like excavator, monster truck is stuck or needs help, Car Patrol is always there to solve their safety problems. Members of Car Patrol are real city heroes! " This cartoon for children about trucks is ideal for boys and girls who are interested in cars!